We were so excited to hear news that a new luxury canal cruising experience is coming to Canada. This is something that I absolutely loved doing in Europe. I never thought I’d see the day when Le Boat launched here in Canada! The Rideau Canal offers cruisers a unique way to see Ontario at their own pace. There’s so much to see and do along the way, especially for those who love to cook and eat because the farms out here are incredible. 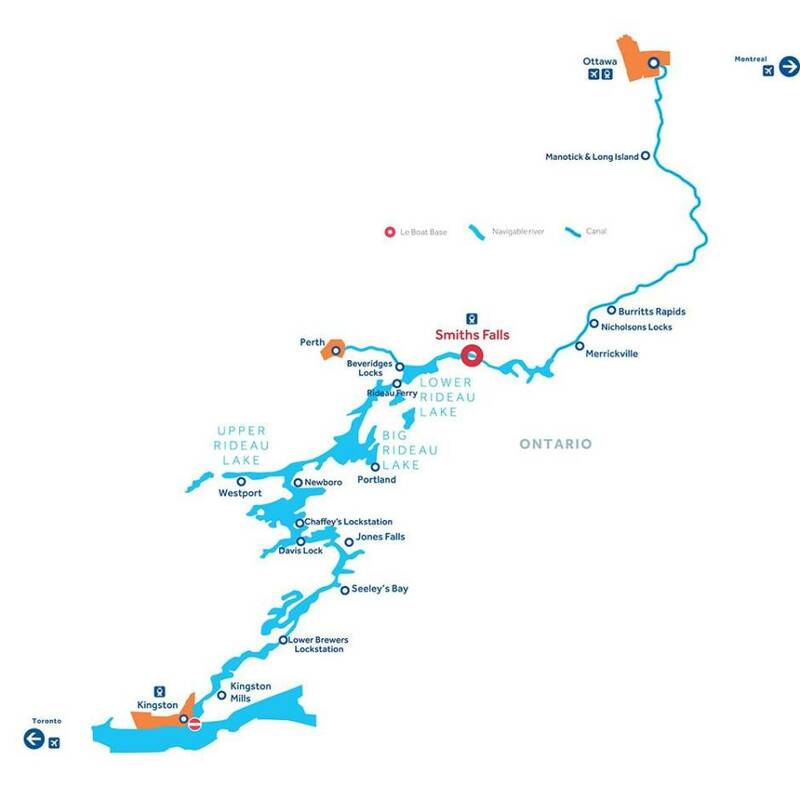 The cruise starts from smith falls and offers two different routes to choose from – 74km up to Long Island or take the 91km route down to Kingston for a perfect finish. The canal journey offers a whole host of activities and experiences including fishing, bike rides and picnics away from the crowds. 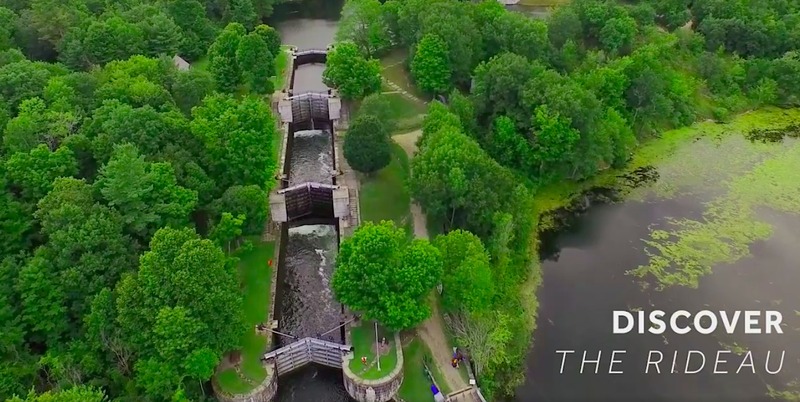 You’ll explore 24 Lockstations and 47 Locks along the Rideau throughout your journey. Frankly, we cannot wait to try this out ourselves! 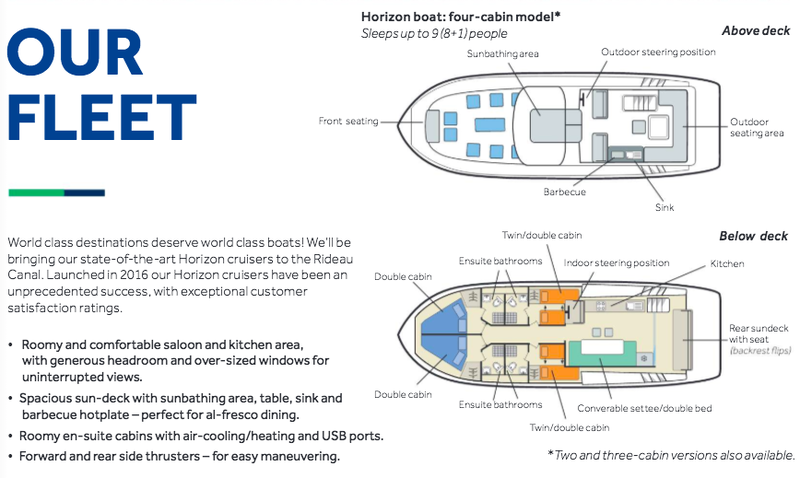 Le Boat will be bringing their Horizon Cruisers out for the journey and they’re the perfect vessels for the job. They sleep up to 9 ensuring the trip can be family friendly and great for small groups that just want to getaway in style. The bow cabins are roomy and comfortable with ensuite bathrooms, USB plugins and great beds. There are also two other rooms perfect for the kids or non-couples. The upstairs saloon and kitchen area is really well laid out with plenty of room and incredible views afforded by the large windows. Last but not least, the top sun-deck is where you’ll likely spend a lot of time soaking in the sun and views. May 19th marked the launch of the Le Boat tours on the Rideau Canal and we want to send you on an adventure with them. Come give us a call or visit the Le Boat website and talk with their team if you’re interested in this canal experience. We’re wishing them incredible success in the coming travel season and we hope people reading this consider adding this to their summer travel list. We also wanted to point out their brochure which gives you all a bit more detail about the overall trip.